President Washington's speech to the Hebrew Congregation there in 1790 included his wish: "May the Children of the Stock of Abraham, who dwell in this land, continue to merit and enjoy the good will of the other Inhabitants; while every one shall sit under his own vine and fig tree, and there shall be none to make him afraid." The founder of our country was referring, of course, to legal residents, not illegal immigrants who sneak into our country surreptitiously, and Sasso, in her column, pointedly referred to immigrants only in general. United States Congress, “An act to establish an uniform Rule of turalization” (March 26, 1790). 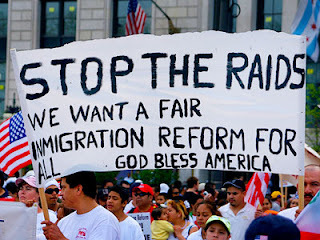 In 1795, Congress changed the immigration law to require that white residents live in the United States for at least five years before they could take the oath to be U.S. citizens...another amnesty provision. United States Congress, “An act to establish an uniform rule of Naturalization; and to repeal the act heretofore passed of that subject” January 29, 1795). In 1798, the Alien and Sedition Acts changed the residency requirement to 14 years and provided for the deportation of "dangerous aliens. In 1800, the residency requirement for naturalization was changed back to 5 years. 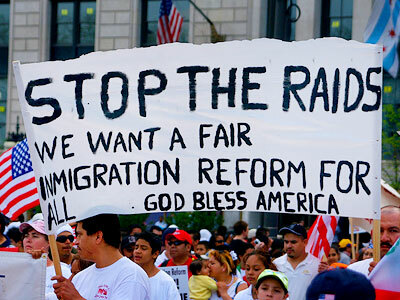 It was not until 1819 that any rules were adopted for those wanting to immigrate to this country. So when people brag that their ancestors came here the right way - legally, it those ancestors were before 1819 that did not meant terribly much. There were no rules. As Milton Friedman used to counsel, you can't weld free immigration to the welfare state. The latter provides many disincentives to assimilation and hard work. I favor very liberal immigration and the end of welfarism. I am still scratching my head over the new plans for unmanned (!) US-Mexico border crossings. Yep, just swipe your ID card as you cross.